My blogs, now 12+ years old, my 6 books and much of my consulting in those years have cataloged and celebrated cloud computing, renewable energy and digital transformations. I have been a big booster of each, but think we are at a point with each where we need to ask for much more. Let’s start with clouds which have been maturing nicely for two decades now. NetSuite and Salesforce were founded in the late 90s. AWS was born out of an internal Amazon project starting in 2000. Salesforce has the honor of becoming “the first enterprise cloud software company to break the $10 billion revenue run rate”. Amazingly, just a short 8 years ago I was blogging about its “second billion”. They have gone from strength to strength. The reality is even with every major and minor vendor offering some version of cloud, 75% of CIOs are still buying servers, switches and data centers. Part of the challenge is cloud applications have largely focused on horizontal processes – accounting, procurement, CRM, HCM etc. Industry books of record – utility billing, retail merchandising, hospitality reservations, healthcare patient records, insurance claims processing, advanced manufacturing shop floors and most others – are still on-premise. Every industry event, I ask cloud vendor CEOs why they all focus on the crowded horizontal space and ignore so much of the white vertical space. They all have good reasons – not enough customer scale in individual industry applications, they are building industry features and analytics into their horizontal capabilities, they have partners working on industry extensions. The reality is those messages are not resonating – customers continue with majority of their industry applications in legacy, on-prem mode. In SAP Nation, I described the “ring fence with clouds” strategy a number of customers have adopted. The ring-fence by now should have spread to the living room, but it’s still on the edges. Geography is another challenge. Europe, Asia and other continents significantly lag N. America in cloud adoption. While they have cultural and regulatory objections to the cloud model, most vendors have not customized, or spent enough selling outside the US. When it comes to infrastructure, clouds have done a nice job penetrating development and test environments, much less production environments. We need many more Netflix examples where Amazon or Microsoft or Google is their “data center”. Or even Oracle and IBM which have long term understanding of so many customer IT nuances. And the waters are muddied as virtualized machines on-premise are being positioned as private clouds. Another area of promise continues to be the ability to benchmark across wide populations of customers on cloud platforms. The reality is much useful data is locked up in their on-premise systems and we don’t have consistent master data definitions. “The average enterprise application costs over $1,000 a user a month. Most company’s IT budgets are now fully allocated to managing the software they bought over the past twenty years. There was also excitement about low capex, and the variable IT cost model of cloud computing. That has gradually been eroding. Now cloud vendors expect multi-year contracts, and hardly deliver any productivity across those years. Six Sigma and CMM are not terms you hear at many cloud vendors. So, clouds have become another fixed IT cost. Amazon started off very well, delivering price cuts just about every quarter. But now, managed services partners have jumped on the bandwagon and dilute its attractiveness. Salesforce is actually confirming its service partners make $ 4 to 5 for every $ 1 it charges. Not very comforting to customers who thought that went away with on-premise systems. It gets worse. Customers are now in mixed-mode with some of their applications and infrastructure in the cloud, the rest on-premise. Others are seeing their infrastructure now fragmented across multiple clouds. All this means increased integration costs and duplicative support resources. I find most investors focused on clouds as a mature market and demanding when it comes to ARR and other metrics, when they should be encouraging more R&D to get into the white spaces. They are also allergic to capex investments. 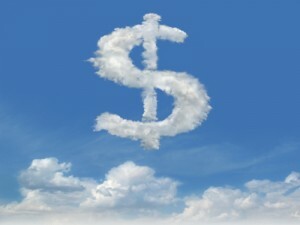 Here’s the irony – clouds promise to reduce customer capex. The vendor has to pick up the capex load. There is no imaginary banker to fill the gap. I remain a big fan of the cloud model. But like my friend Frank Scavo likes to say “You don’t get a pass just because you’re SaaS.” Cloud vendors will have to step up – in broadening their reach and in recommitting to the economic model which made them so attractive to adopt. Buyers and analysts like me need to keep the pressure on cloud vendors. Next up, a similar challenge for renewables in the world of energy.